Planning to go on a tour to Karnataka? Have you added Hoysaleswara temple's name in your list? If not, what are you waiting for? Add the name of this fascinating temple in your tour list. 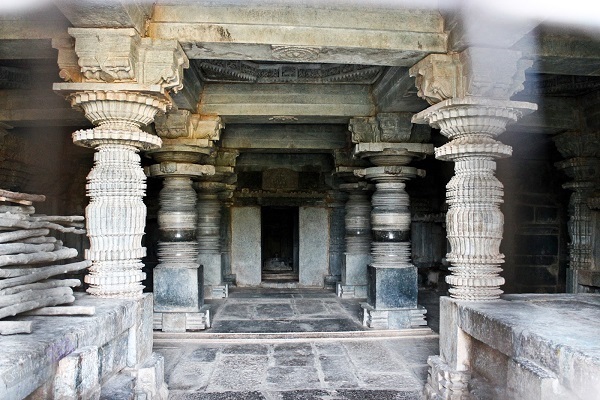 Constucted in 12th century, the Hoysaleswara temple is dedicated to Lord Shiva. The temple consists of two adjoined shrines, which face east and each of them has a mantapa i.e., hall in front of them. The interior of the temple is quite simple but the exterior is amazing because of the projections and recesses in the walls that have been introduced to it. The shrines are of star shape. 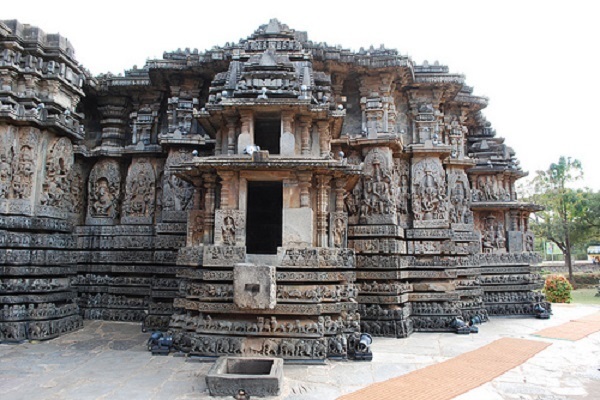 The Hoysaleswara temple is majorly known for its sculptures that run all along the outer walls of the temple. The sculptures mainly consist of a dancing image of the god Ganesha and another beautiful image of Lord Ganesh.Their are eight friezes in the temple and each has a fabolous type of decoration. 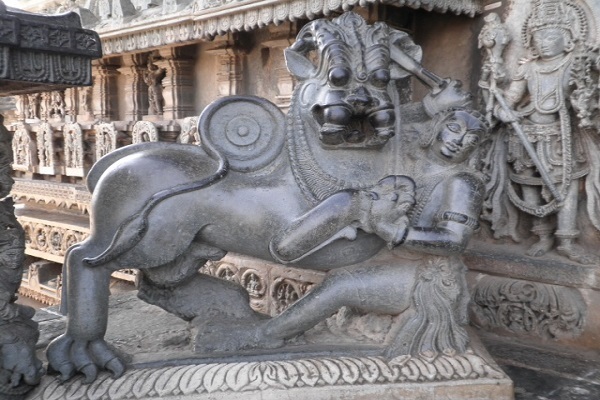 The frieze situated at the bottom (where the temple wall meets the platform) depicts charging elephants which symbolize strength and stability. Above them, are the friezes with lions on them, which symbolize courage. With floral scrolls on them, horses symbolize speed and another floral scroll has mythical beasts called makara on them, which are the depictions from the Hindu epics. And finally a frieze can be seen with hansas (swans) on them. The temple even consists of a great Garuda Stamba (Garuda Pillar). On the side south side, stands a rare pillar depicting heroes brandishing knives and cutting their own heads. And finally at the south entrance stands a tall sculpture of Lord Ganesh. Darhan Timings: You can visit the temple anytime and everytime as it is open in all days of the week from 6:30a.m. to 9:00p.m.